Infinix Hot Note 2 is set for launch, and the smartphone is said to come with a 5,300mAh battery capacity. However, the smartphone features super sleek design and a Led Flash which supports the rear camera. 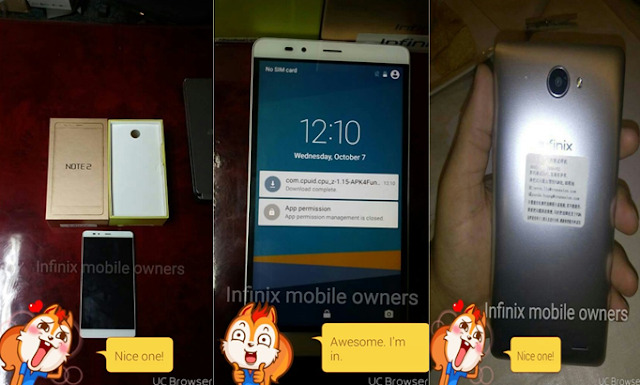 According to an insider’s post on Nairaland forum, the Infinix Hot Note 2 would run on Android 5.1.1 Lollipop which would later receive an OTA update to Android 6.0 Marshmallow. Since the predecessor of the smartphone (Infinix Hot Note) powers a 1GB RAM, it’s expected that the Infinix Hot Note 2 should power a 2-3GB RAM, MediaTek’s chipset, 16-32GB ROM, 4G LTE Capability and a better camera feature. Needless to say, none of this has been officially confirmed, so take it with a pinch of salt. Stay tuned, as I keep you guys updated once there are any official confirmation.